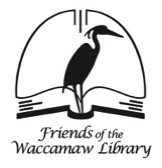 Bring your donations to the The Friends Center in the new Waccamaw Neck Branch Library. Please do not leave them in the library lobby or outside the building. 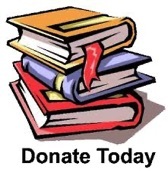 Remember to ask for a tax-deduction form at the time of donation. If you have an especially large donation from an estate, pick-up can be arranged by calling The Friends Center at 843-545-3387. The money generated will be used to purchase books and equipment for the library and fund children and adult programs and community events - thank you for your support. We appreciate the strong community support for donating used books and other media. 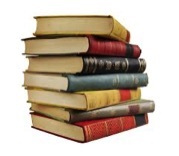 Reusing and recycling books within the Waccamaw Neck keeps books in the hands of readers and out of landfills. And it’s a great way to clean out your bookshelves making room for new editions! FOWL volunteers will sort the donations and ready them for use as replenishment to our ongoing book sale shelves or in an upcoming big book sale. If the donation is a newer book that the Waccamaw Neck Branch Library doesn’t have on its shelves, we will gift it to them.